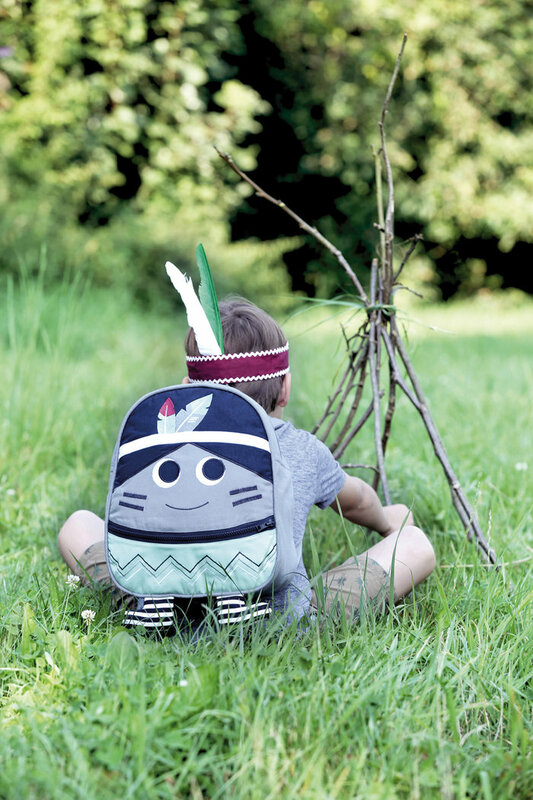 Our cute backpacks are the perfect companions for little explorers. 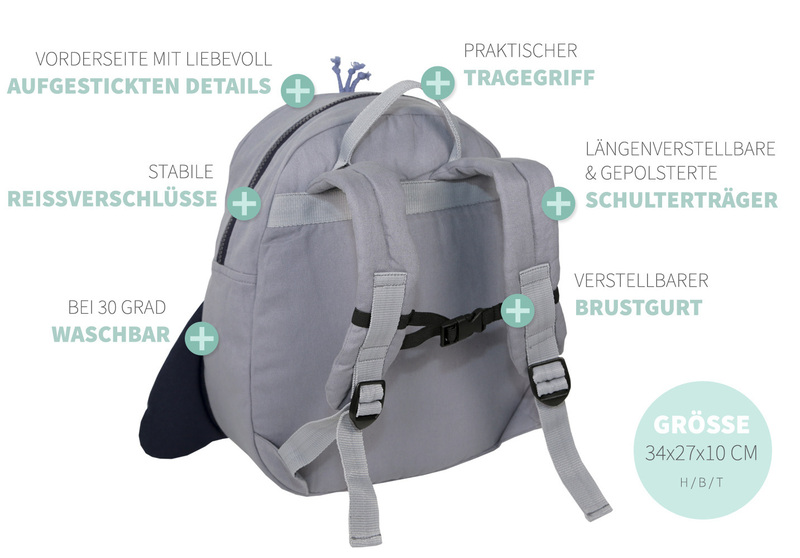 They offer sufficient space for lunchbox, drinking bottle and much more. Tiny treasures can be hidden in the little pocket on the front. The padded straps are adjustable in length and can be connected with a buckle so that the straps do not shift. 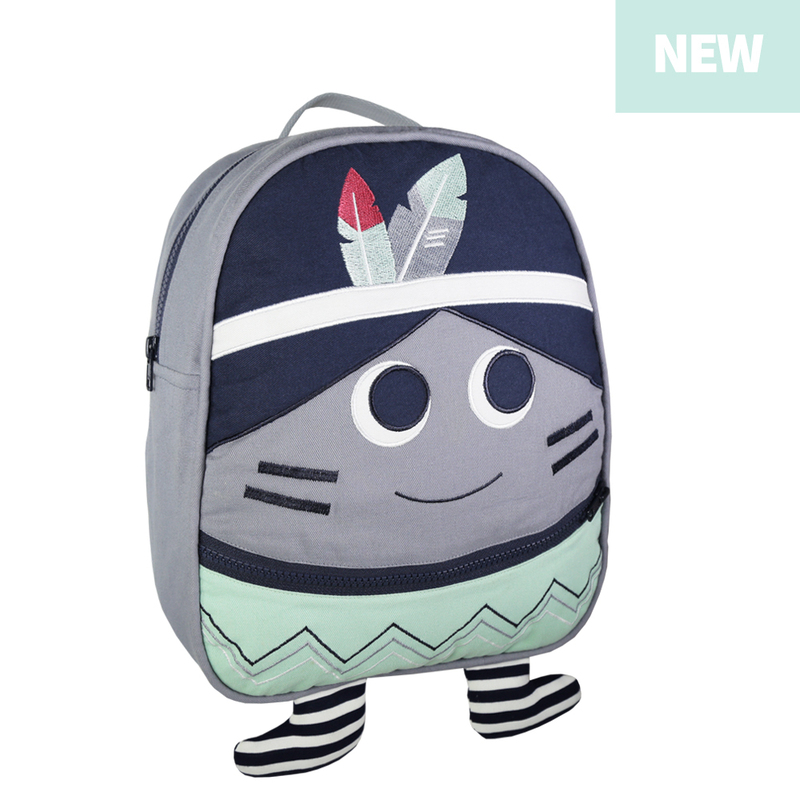 The backpack is suitable for children between 2 and 6 years.